It was confirmed by Mercedes-Benz’s parent company Daimler and Bosch back in July that they would be launching a pilot program for their robo-taxi service in Silicon Valley next year. Some additional details have been confirmed about the service. 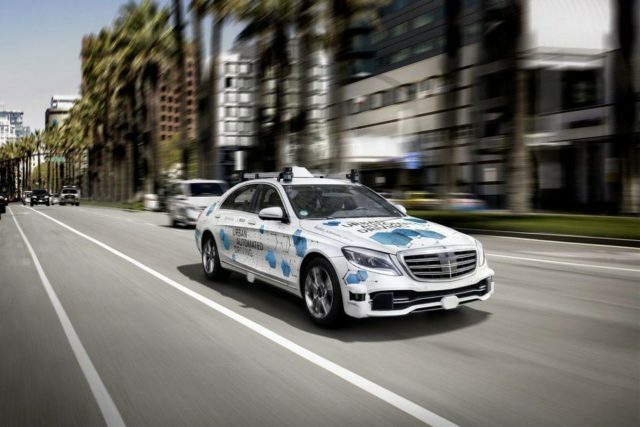 Its fleet will consist of luxurious self-driving Mercedes-Benz S class vehicles and the service will be launched in San Jose, California in the second half of 2019. Daimler and Bosch have long collaborated on innovative technologies that have brought new safety features to cars. They have worked together on technologies such as adaptive cruise control, stability control, and anti-lock brakes. It really didn’t come as a surprise when the two companies announced in April last year that they will be working on developing automated driving systems. For this robo-taxi service, Daimler is looking after vehicle integration while Bosch is developing the compute platform which will power the autonomous driving system. The ride-hailing app for this service will be developed by Daimler Mobility Services. The service will be connected into other mobility services such as the Car2go carsharing service and the Moovel multi-model platform. We will see just how good of a job the companies have done when their pilot program launches in San Jose next year. The Mercedes-Benz S class sedans will have over 40 sensors which will enable the car to drive itself.